Read the original article on Man’s World India (pdf). Flying was a sickening feeling, at least for me. I was air sick while paragliding at 1,900m. And here I was in Syangja in western Nepal, sitting and sipping tea with the duo who had paraglided from the highest point on earth. 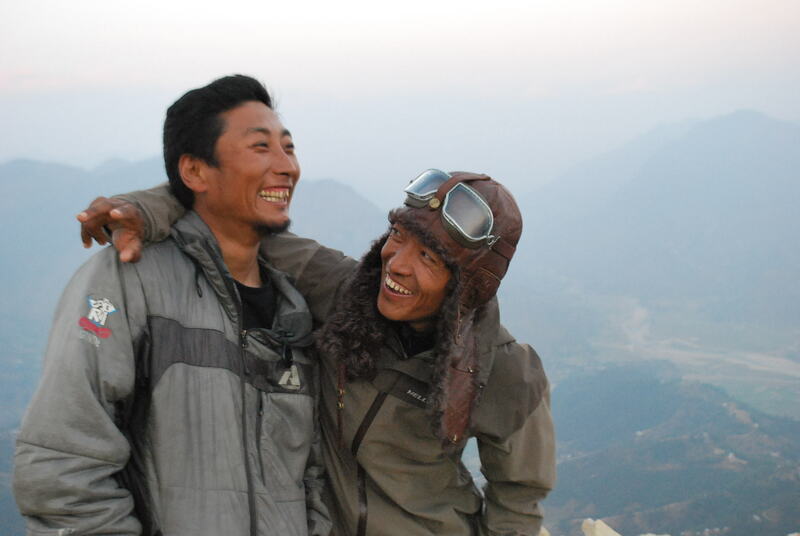 Sano Babu Sunuwar and Lakpa Tsheri Sherpa define adventure. You might want to call them crazy. And why not? The duo paraglided from Mt Everest, set a world record by doing a free flight at 8,665m and then after landing at 3,780m, they kayaked all the way to the Bay of Bengal in India following Nepal’s rapid rivers and the Ganges in India. For Sunuwar, 28, who had never climbed any mountain, and Sherpa, 37, who didn’t even know how to swim, the challenge was tough. But they shared a common dream: to fly from one of the world’s highest point. 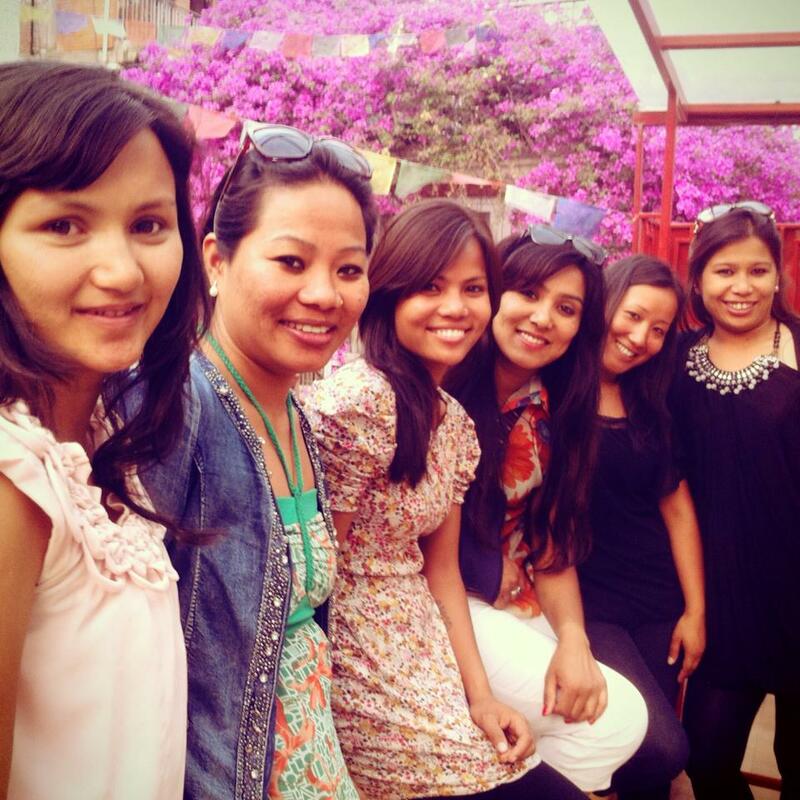 On April 21, team Sunuwar and Sherpa left Pokhara for Kathmandu. The following day they reached Lukla from where the trek to Everest begins. For Sunuwar, adapting to such heights was a problem, and he became sick a number of times. But Sherpa helped him all the way up to 8,848m. the ascent that started on April 21 ended on the morning on May 21. Their 45 days of rigorous climb to the summit was then superseded by a 45-minute descent to 3,780m at Syangoche in the Khumbu region where they were welcomed by beer on one hand and flower garlands on other. “But this wasn’t the end,” Sunuwar says. On June 3, with a double canoe, and paddles Sunuwar and Sherpa followed the river to the sea. With no prior experience in the water or the know-how to paddle, the man from the mountain was pushed in the water in the canoe. Coming from a high altitude Sherpa also had problems adjusting to the lower lands. At the confluence of the Dudh Koshi and Sun Koshi rivers, Sherpa says he was “suffocated by the warm temperature.” Sherpa, never used to warm climate, had to resist temperatures up to 48 degrees Celsius. Some days they only survived on mangoes and bananas; at times they hardly had any water to drink. There were nights they spent with dead bodies floating on nearby boats, a tradition in some of the sects in India. And they were also robbed twice. But despite all the challenges, navigating through an unfamiliar terrain, through Nepal’s rapid river to the Ganges in India, on June 27 at 2 pm, Sunuwar and Sherpa finally made it to the Bay of Bengal. Their dream had materialized: They trekked to the top of the world, set a world record free flying at 8,865m, flew down to 3,780m and then paddled down to the sea. But would they repeat anything daring and unconventional as such? Sunuwar and Sherpa look at each other and laugh. “I’ll probably go to the river for a vacation,” Sherpa says. “Yes, I shall go to the mountains for a vacation, too,” Sunuwar adds.